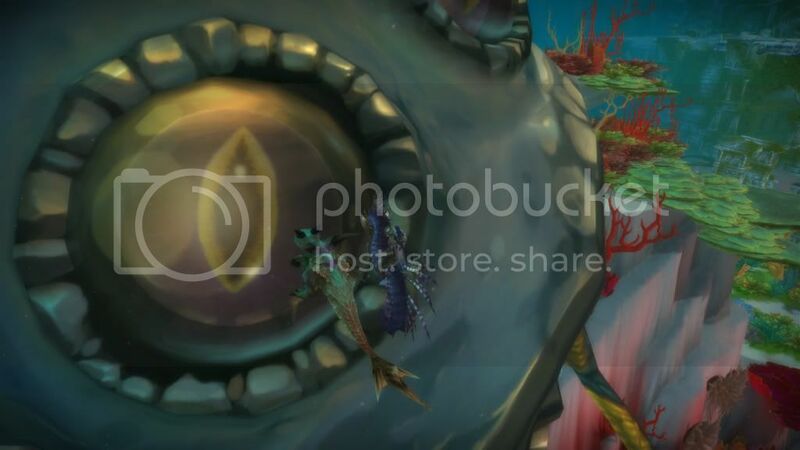 WoW Petopia Community • View topic - Random Pet Family Appreciation Thread 2: Warp Stalkers! 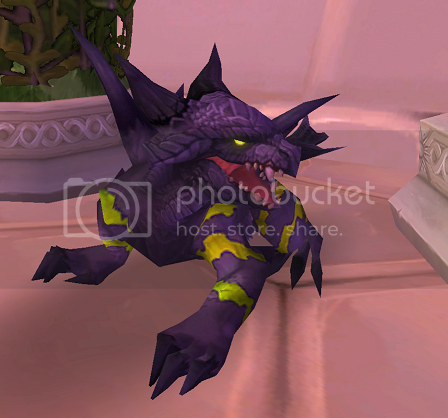 Random Pet Family Appreciation Thread 2: Warp Stalkers! Post subject: Random Pet Family Appreciation Thread 2: Warp Stalkers! Random pet family appreciation thread is where I roll a random pet family every week for everyone to share their pictures, their stories, their love for that pet family. Please no hate or rants. This is an appreciation thread. If you dislike the family, don't post! 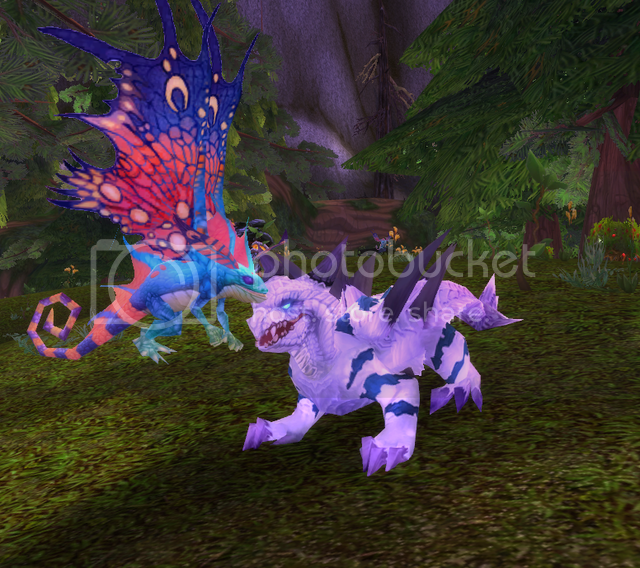 Hopefully with some love we can get some hunters to try out new pets they never would have thought to tame before. Our second family is the tricksy Warp Stalker family! 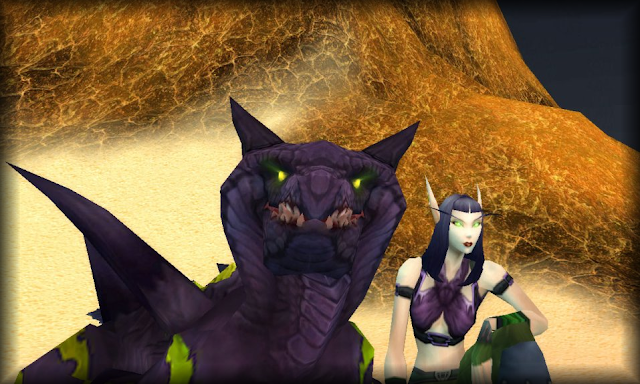 ~Introduced as a tameable family in Burning Crusade. ~Warp Stalkers have six different skin colors. ~Warp Stalkers have no rare members. ~Warp Stalkers have one unique skinned named member, Gezzarak the Huntress with a dark purple with yellow-green stripes skin called warpstalkerskinblack. ~Gezzarak the Huntress is definitely the most infamous member of the family. Summoned after a very long quest chain in Skettis, she hit like a truck and would knock back and warp to interrupt your tame. Once tamed, she had an awesome summoning animation where she appeared in a flash of thunder. However, she was bugged and could not attack other players in PvP, could not be misdirected and could only be healed by mend pet. Due to these bugs she was made untameable shortly afterwards, making her extremely rare to see tamed. Thanks to Noah, Gezz was made tameable again in Cataclysm patch 4.0.3. Her bugs where fixed but she no longer has that cool thunder summoning animation. ~Warp Stalkers used to have the special ability Warp, which acted as a teleport and increased the warp stalkers avoidance on the next three melee attacks made to it. This made warp stalkers great single target tanks. Warp also shared a cooldown with Charge, allowing warp stalkers to pick up a talent point elsewhere. 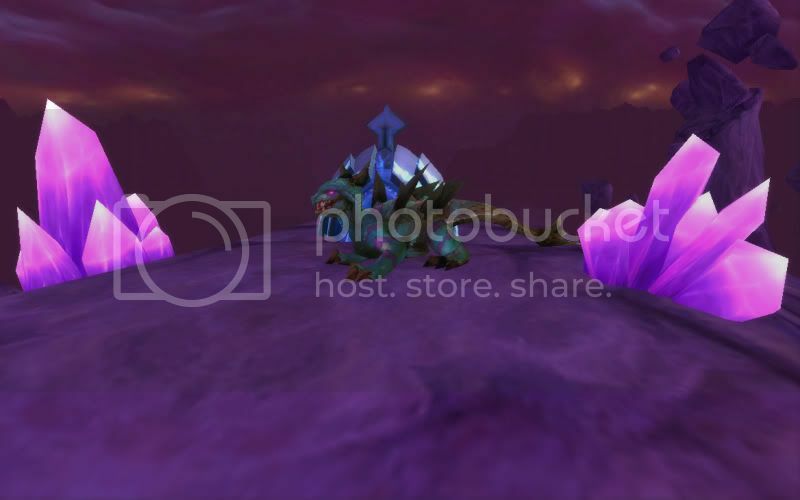 ~A Black Warp Stalker mount was datamined back in August of 2008, but never implemented in game. ~Many mini warp stalkers exist in game such as Spiny Lizard and Horned Lizard, but no mini warp stalkers have been made as a permanent companion pet yet. 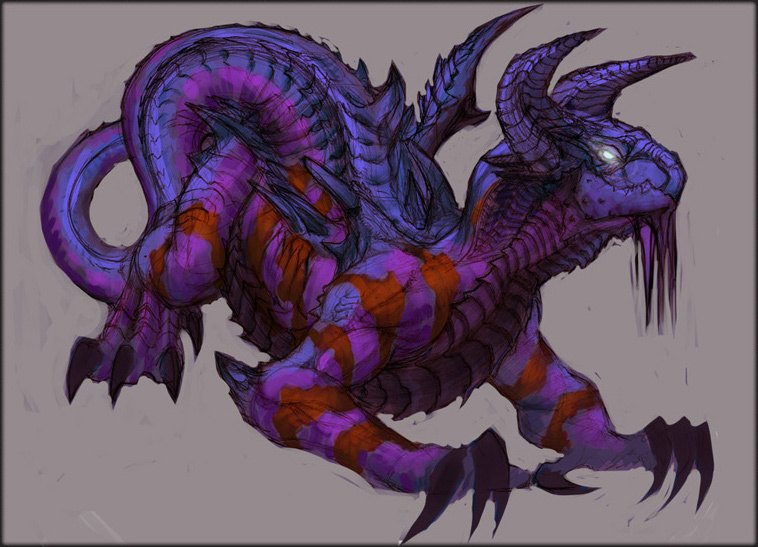 ~Daggertail Lizard was introduced in Burning Crusade, but with these creatures being over level 70 they could not be tamed. During the Blade's Edge Mountains changes with Ogri'la these warp stalkers where removed from the game, making their red skin unattainable until Cataclysm when they where added back into the game. ~Chasm Stalker used to be a color changer between warpstalkerskinblue, warpstalkerskingreen and warpstalkerskinwhite in Cataclysm beta. While they are fixed to spawn only in the blue skin, on the character selection screen and in the stable they will still appear green. Post subject: Re: Random Pet Family Appreciation Thread 2: Warp Stalkers! I adore the warp stalker family myself. Here is my warp stalker, Hirameku. Hirameku is Japanese for "(1) to flash (lightning, etc. ); to flicker (lights); to glitter; (2) to wave; to undulate." His name was based on warp stalker old ability Warp and Gezz's thunder summoning animation. Hira was originally going to be Gezz, but my friends failed at helping me tame her. Seriously, how my friends couldn't understand "Don't kill her! Let me tame her just keep me alive with heals," I will never know. When I went back to try again after leveling up some, she was untameable. When Gezz was made tameable again, I was too attached to my turquoise warp stalker to tame her. 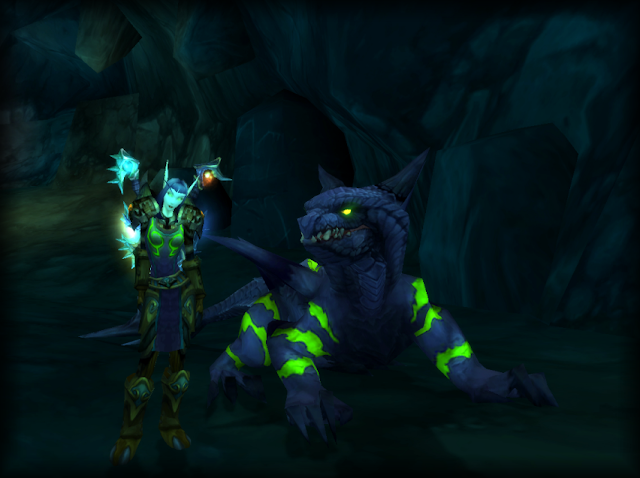 While Gezz was my goal, this turquoise warp stalker was now my pet. However, since Cataclysm Hira hasn't been out of the stables as much. With Warp being changed to a slow, my turtle and even my worm outclass him as a tank. I respecced him to a pvp spec, and Hira is my main pvp pet, but I don't pvp much. I've thought about releasing him many times but I just can't. Sad to say, but I hope with pet changes in MoP he will regain his usefulness he had back in Wrath to me. WARP STALKEEEERSSSS!!!!!!!!! Among the top favorite beasts in the game to me!!!! 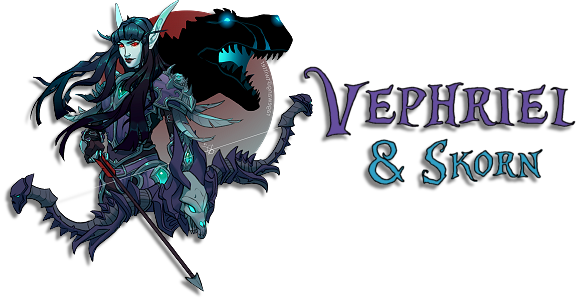 Lisaara's best pet is Aeon, her white warpstalker. I love these threads Wassa, such a fantastic idea! ^^ I have a long-winded story about my warpie, I hope no one minds me retelling it here. Feel free to skim, I know this is a lengthy post! This is Reznor, my long-awaited purple warp stalker. Let's go back in time for a bit. 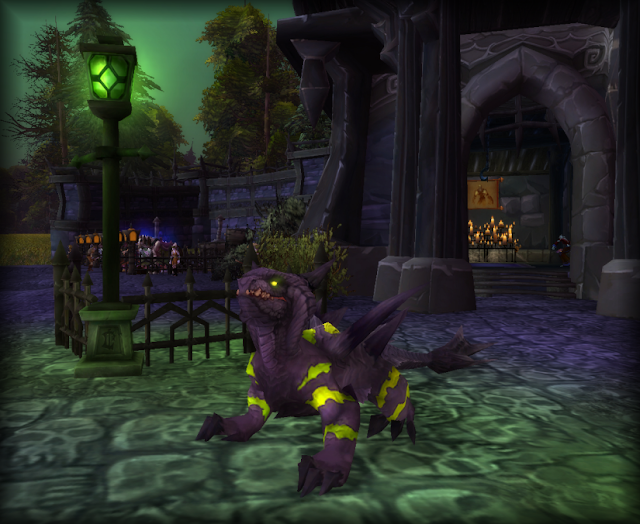 During the Burning Crusade expansion we were introduced to the wonderful creatures known as warp stalkers. I was, of course, completely in love with them. They seemed to combine my obsession with dragons, crocodiles, snakes, and reptiles in general...all in one amazing looking beast. Needless to say they were a dream species for me. I would have fallen for them no matter what sort of colour scheme they came in, they were just that awesome looking...and then I saw a particular model. Purple and green, a beautiful dark tone with toxic stripes. I had to pick my jaw up off the ground the first time I laid eyes on it. One of my favourite colour combinations, on possibly the coolest fictional creature I've ever seen. It was meant to be! 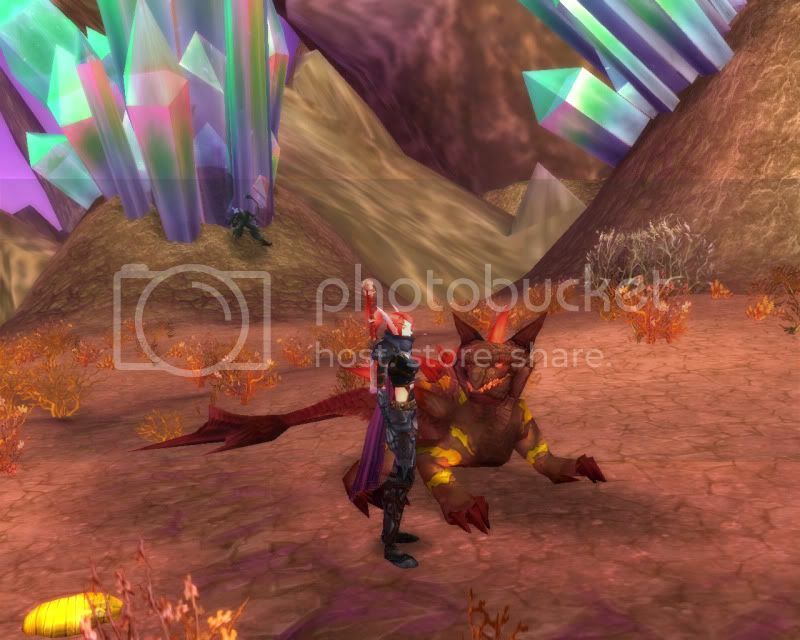 My purple dragon, the first pet that I had ever experienced such an intense longing for, was only used on one mob. Gezzarak the Huntress, a level 72 who was summoned during a quest. Level 72. We could reach a level cap of 70. I clearly remember that horrid feeling as my dream shattered. Yes, there were other warp stalkers (well, only 2 other colours at the time), but none of their colours even began to compare to the compelling beauty of purple and green. 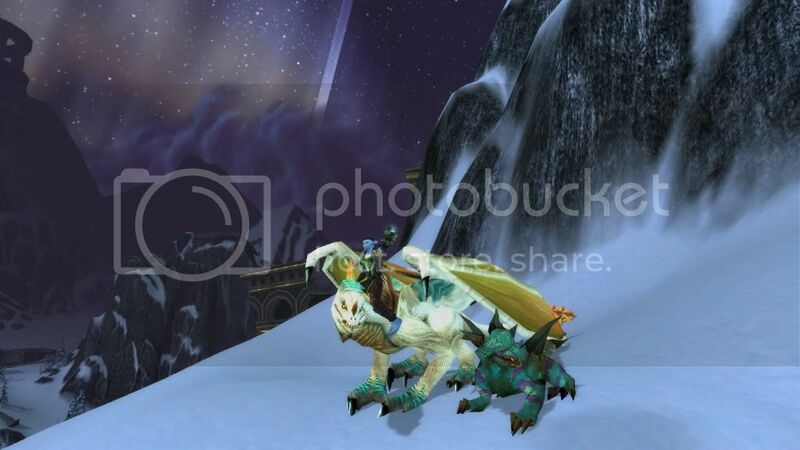 I was heartbroken that Blizzard didn't utilize the model on some other, tameable creature. Years went by and Gezzarak remained but a wishful thought until Wrath of the Lich King was announced. Level cap increasing to 80. 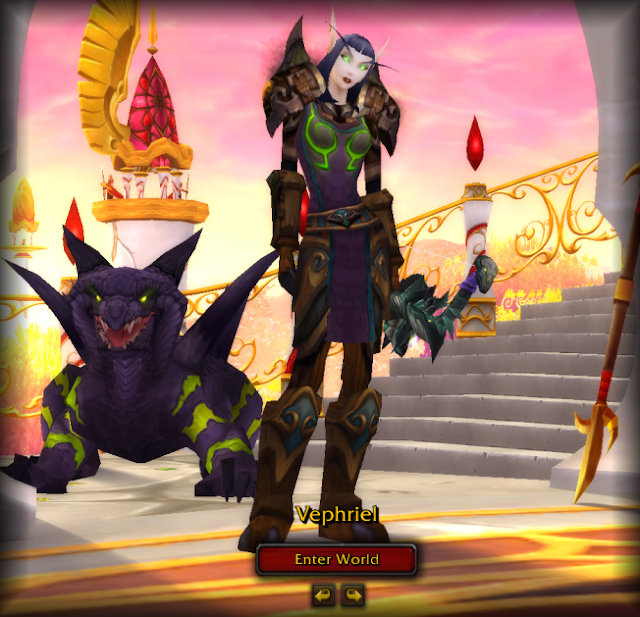 Sure enough, during the beta some intrepid hunters discovered that she was flagged as tameable. The dream pet I had almost given up hope for suddenly gleamed on the horizon once more. The expansion was released, there was much fun to be had, and I began to work my way through the content. Eventually I reached level 72. 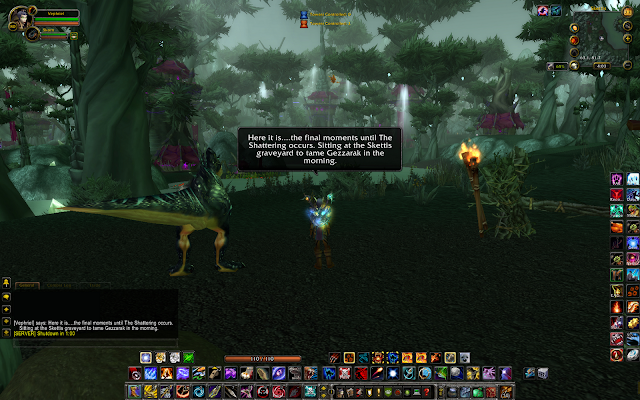 By this time there had been reports that people who had tamed Gezzarak were experiencing glitches with her. She didn't attack, she couldn't be fed or talented...she was essentially a vanity pet. I was intensely disappointed in finding this out, but I still aimed to tame the warp stalker. I managed to prepare for my first attempt, having no idea that it would also be my last. I summoned her, hit Tame Beast...and was brutally slaughtered. Not only did she hit like a truck, I couldn't even manage to keep my tame casting due to her interrupts and warping. It was a shock to the system. I had no idea at the time that taming Gezzarak was a difficult process requiring the help of others in order to stun her and somehow get your taming speed as low as possible to pull it off. I wasn't really in a guild at this point, nor did I know people on my server. I didn't have any help to call upon, so glumly I walked away and thought I would try again later. Perhaps in a few more levels I could manage it. Then a patch is released. Boom. 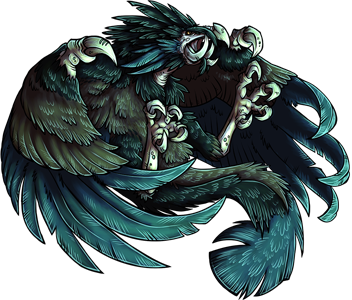 Out of the blue, Gezzarak is no longer tameable. The total time was about 2 months that people were able to grab her in. What followed was possibly one of the greatest periods of regret I've ever had towards the game. If I had any inclination that she was going to be removed like that I would have tried harder to tame her or find help. Oh, and just to rub salt in the wound? 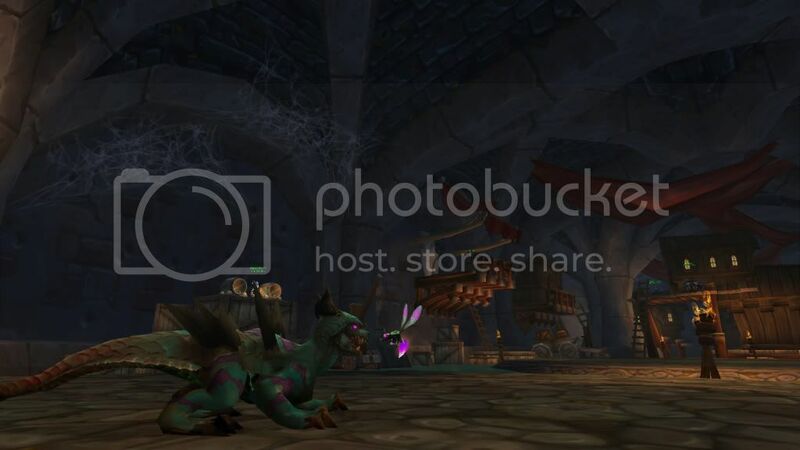 An orc hunter NPC in Dalaran walked around with a purple warp stalker named Backbiter. Yeah, that was wonderful. A fresh wave of regret and pain each time she walked by. Just terrific. I made a vow to myself that I would never own a warp stalker after that. I could not bring myself to tame a different colour, even with how much I loved the creatures themselves. It was the purple one or nothing for me. I tried making threads requesting for her to be made tameable again, along with many other crushed hunters. The pleas seemed to be ignored, however, and I could not bring myself to hope again that I'd ever have that warpie. This is turning in to quite the saga, isn't it? Luckily it gets better from here. Cataclysm is announced, and this time someone finally shines through (looking at you Noah). The beta for the expansion goes on for a while, and each patch I'm beside myself for any news of Gezz. Then the glorious announcement is made. She's tameable again. Omfg she's tameable! My boyfriend had received a beta invite which he handed over to me since he didn't care about it much. 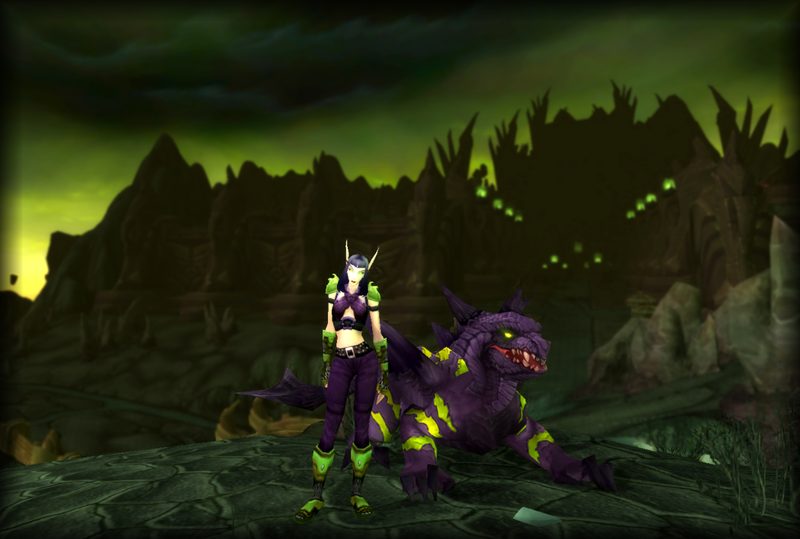 As soon as I was able to I copied a character over, logged in, and tamed the purple warp stalker I had dreamed about since the early days of BC. My feelings of seeing that warpie by my side for the first time ever, well, were indescribable. I couldn't help but have a nagging paranoia that something would go wrong, or that Blizzard would change their mind, or that it was all just a dream. I relished my time in the beta with my warp stalker, unsure if it would truly become a reality. 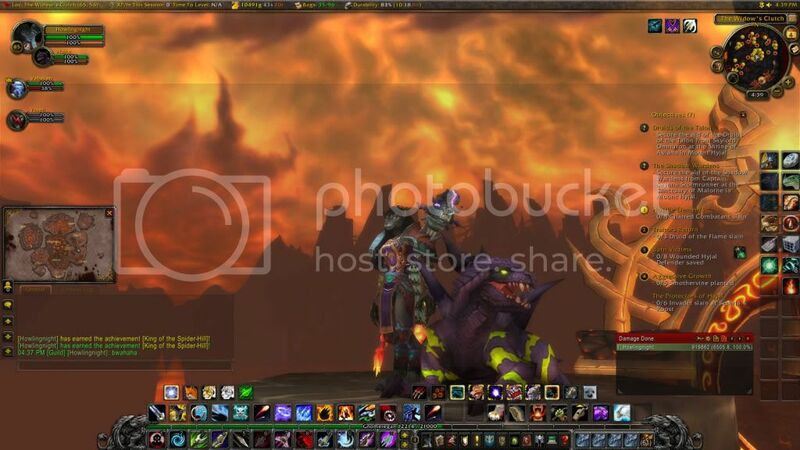 On the night before the Cataclysm patch, I headed to Skettis armed with the scrolls to summon Gezzarak, and waited until the servers shut down for the last time on Azeroth as we'd known it. Somehow, it wasn't a dream, and the next day when I logged in I summoned Gezzarak, hit tame...and there was the purple warpie beside me. I had thought that it would take an eternity to find the perfect name for this dream pet that had eluded me for so long, but I was pleasantly surprised when the name came to me all on its own. Reznor, originating from the singer of Nine Inch Nails: Trent Reznor. A man who has been so influential in my life, and whose music is a part of me. The name was just perfect somehow, and it clicked immediately. So here I am, after all those years of hope and heartbreak, with Reznor the purple warp stalker at my side. Reminiscing on all that happened up until this point really cements the bond I have with this incredible pet and how much he means to me. I know this was a long winded post, but it felt great to go back and remember all of that knowing how it turned out in the end. I knew when I started writing this threads I would get long-winded posts from you on certain families, like warp stalkers here, hehe. I have tamed the green one on some of my alts; it's a nice color that is rarely tamed, I think. I love Warp Stalkers. I have two. <3 Onyx and Amarantine. I love these thread ideas Wassa! 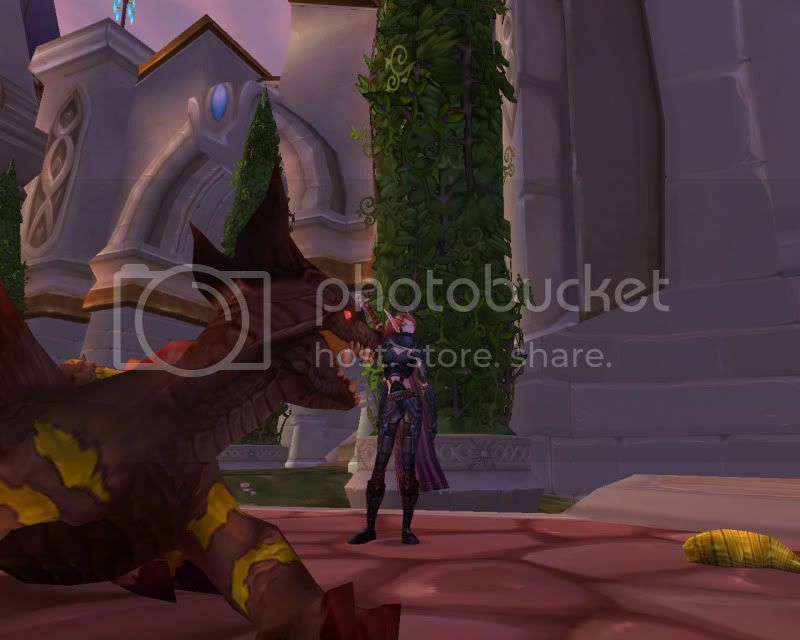 Warpies are one of my favorite pet families, even after the change to their special ability and one of my most favorite and iconic warp stalkers I had as a pet before I quit the game was Crimson, my blood elf huntress Rosaliah's warp stalker. I used him quite regularly as a tank for leveling, slow or no. I love them!! Red ones and blue-red/blue-green are amazing, but I always had a thing for Gezzarak. 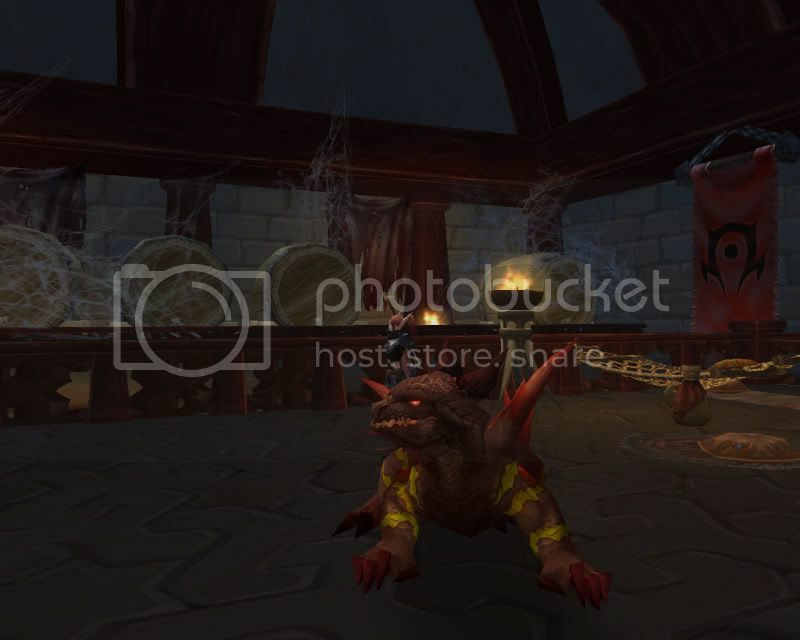 Seeing Backbiter wandering around Dalaran with her orc huntress made me sad, and Skettis is where I logged out the eve of the Cataclysm! I've always loved warp stalkers, and was quite happy when I heard that the new skins were to be put in with the Shattering. I just wish I had space/matching armor for a red one, too! Another warpstalker fan right here! I just adore them! My Blood Elf huntress, Auroryn, has two, Laelia (formally known as Gezzarak) and Xaphan (a red Daggertail Lizard from Blade's Edge Mountains). My Troll huntress, Kadija, has acquired herself a blue Chasm Stalker and named him Ciroc. My Orc huntress, Drakara, has one of those olive and aqua skinned warpies from Winterspring. A permanent name has yet to be decided however. Last edited by Niabi on Fri May 23, 2014 12:58 am, edited 6 times in total. Starkittens Who would work best for her? I'm going to place my vote for either or . In general, I feel that earthy-colored pets compliment Tauren hunters very well. My blue warpie, Moochie, hangs out with two of my hunters. I cannot tell you how many times he's saved the day in dungeon runs. Poor tank or the tank dies and things are going south.. I send in Mooch. With that ferocious yyaaaaaaarrrr he charges in and takes charge. He might not be tough as a turtle, but he's emergency tanked bosses and soetimes given his life pulling all aggro to give heals that crucial few seconds to pop some heals on the group. I love, love, love Warpies! I need to get my current main Hunter, Talaridan, a Warp Stalker. I just need to find just the right color. This is one of Arit's longest friends. I was able to tame this boy when I was about to go off to Northrend, way back when I was able to hit 68 on her. I thought that they were really fun to look at, and on a whim I tamed one. Turned out that when I was grinding TBC dungeons for rep and what not, he became a wonderful tank, taking damage like a boss. I've never really looked back when it comes to Warpies, and I make sure that when the colour I want for which ever hunter I'm on gets one. They're just that great!